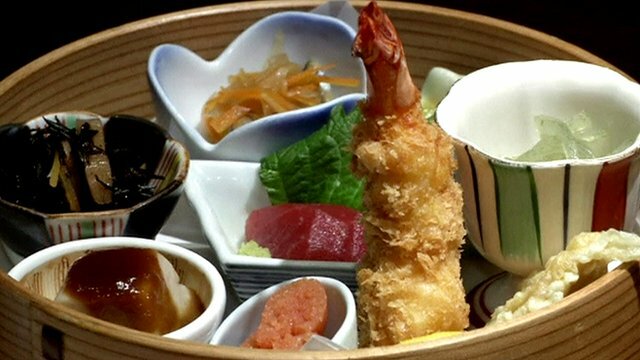 Japanese chef's miniature sushi Jump to media player Tokyo restaurant's menu features delicacies weighing under a gram, but which take much longer to prepare than regular ones. 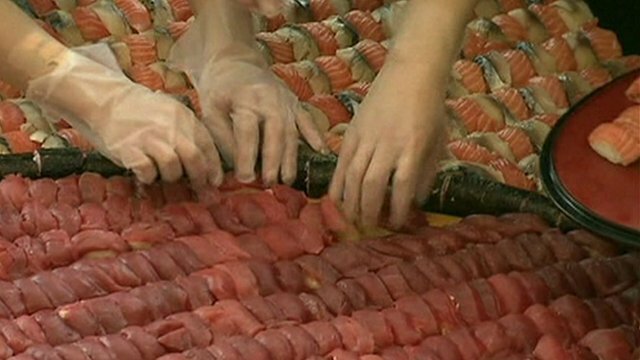 HK chefs make massive sushi mosaic Jump to media player More than 100 chefs have joined forces in Hong Kong to create the world's largest sushi mosaic, covering an area of 37.57 sq m.
Heritage status for Japanese food Jump to media player The United Nation's cultural organisation Unesco has added traditional Japanese food to the Intangible Cultural Heritage list. 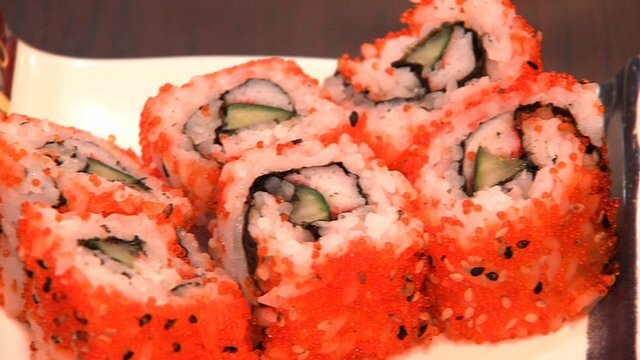 The link between stocks and sushi Jump to media player Japanese stocks are at their highest level for six years as a raft of reasons give investors fresh confidence - reports the BBC's Puneet Pal Singh. 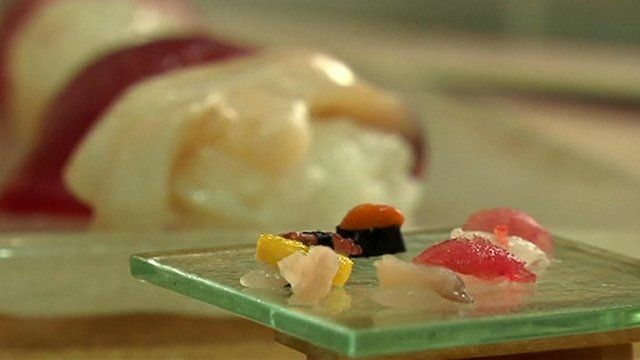 A sushi chef in Tokyo has specialised in the art of making miniature versions of the Japanese delicacy. His creations are made with a single grain of rice and weigh under a gram each, but take much longer to put together than regular ones.